The way in which companies interact with their customers has changed dramatically over the past few years. A customer’s continuing business is no longer guaranteed. As a result, companies have found that they need to understand their customers better, and to quickly respond to their wants and needs. In addition, the time frame in which these responses need to be made has been shrinking. It is no longer possible to wait until the signs of customer dissatisfaction are obvious before action must be taken. To succeed, companies must be proactive and anticipate what a customer desires. Compressed marketing cycle times. The attention span of a customer has decreased dramatically and loyalty is a thing of the past. A successful company needs to reinforce the value it provides to its customers on a continuous basis. In addition, the time between a new desire and when you must meet that desire is also shrinking. If you don’t react quickly enough, the customer will find someone who will. Increased marketing costs. Everything costs more. Printing, postage, special offers (and if you don’t provide the special offer, your competitors will). Streams of new product offerings. Customers want things that meet their exact needs, not things that sort-of fit. 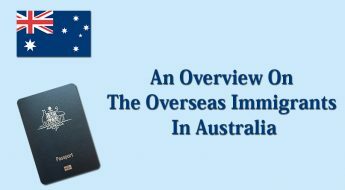 This means that the number of products and the number of ways they are offered have risen significantly. Niche competitors. Your best customers also look good to your competitors. They will focus on small, profitable segments of your market and try to keep the best for themselves. The right offer means managing multiple interactions with your customers, prioritizing what the offers will be while making sure that irrelevant offers are minimized. The right person means that not all customers are cut from the same cloth. Your interactions with them need to move toward highly segmented marketing campaigns that target individual wants and needs. The right time is a result of the fact that interactions with customers now happen on a continuous basis. This is significantly different from the past, when quarterly mailings were cutting-edge marketing. Finally, the right channel means that you can interact with your customers in a variety of ways (direct mail, email, telemarketing, etc.). You need to make sure that you are choosing the most effective medium for a particular interaction. It is important to realize, though, that data mining is just a part of the overall process. Data mining needs to work with other technologies (for example, data warehousing and marketing automation), as well as with established business practices. If you take nothing else from this book, we hope that you will appreciate that data mining needs to work as part of a larger business process (and not the other way around!). Data mining, by its simplest definition, automates the detection of relevant patterns in a database. For example, a pattern might indicate that married males with children are twice as likely to drive a particular sports car than married males with no children. If you are a marketing manager for an auto manufacturer, this somewhat surprising pattern might be quite valuable. However, data mining is not magic. For many years, statisticians have manually “mined” databases, looking for statistically significant patterns. Data mining uses well-established statistical and machine learning techniques to build models that predict customer behaviour. Today, technology automates the mining process, integrates it with commercial data warehouses, and presents it in a relevant way for business users. The leading data mining products are now more than just modelling engines employing powerful algorithms. Instead, they address the broader business and technical issues, such as their integration into today’s complex information technology environments. 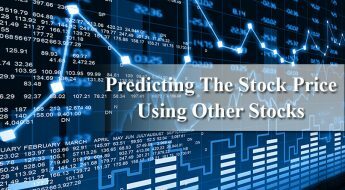 In the past, the hyperbole surrounding data mining suggested that it would eliminate the need for statistical analysts to build predictive models. However, the value that an analyst provides cannot be automated out of existence. Analysts will still be needed to assess model results and validate the plausibility of the model predictions. Because data mining software lacks the human experience and intuition to recognize the difference between a relevant and an irrelevant correlation, statistical analysts will remain in high demand. Imagine that you are a marketing manager for a regional telephone company. You are responsible for managing the relationships with the company’s cellular telephone customers. One of your current concerns is customer attention (sometimes known as “churn”), which has been eating severely into your margins. You understand that the cost of keeping customers around is significantly less than the cost of bringing them back after they leave, so you need to figure out a cost-effective way of doing this. The traditional approach to solving this problem is to pick out your good customers (that is, the ones who spend a lot of money with your company) and try to persuade them to sign up for another year of service. This persuasion might involve some sort of gift (possibly a new phone) or maybe a discount calling plan. The value of the gift might be based on the amount that a customer spends, with big spenders receiving the best offers. This solution is probably very wasteful. There are undoubtedly many “good” customers who would be willing to stick around without receiving an expensive gift. The customers to concentrate on are the ones that will be leaving. Don’t worry about the ones who will stay. This solution to the churn problem has been turned around from the way in which it should be perceived. Instead of providing the customer with something that is proportional to their value to your company, you should instead be providing the customer with something proportional to your value to them. Give your customers what they need. There are differences between your customers, and you need to understand those differences in order to optimize your relationships. One big spending customer might value the relationship because of your high reliability, and thus wouldn’t need a gift in order to continue with it. On the other hand, a customer who takes advantage of all of the latest features and special services might require a new phone or other gift in order to stick around for another year. Or they might simply want a better rate for evening calls because their employer provides the phone and they have to pay for calls outside of business hours. The key is determining which type of customer you’re dealing with. It is also important to consider timing in this process. You can’t wait until a week before a customer’s contract and then pitch them an offer in order to prevent them from churning. By then, they have likely decided what they are going to do and you are unlikely to affect their decision at such a late date. On the other hand, you don’t to start the process immediately upon signing a customer up. It might be months before they have an understanding of your company’s value to them, so any efforts now would also be wasted. The key is finding the correct middle ground, which could very well come from your understanding of your market and the customers in that market. Or, as we will discuss later, you might be using data mining to automatically find the optimal point. For data mining to impact a business, it needs to have relevance to the underlying business process. Data mining is part of a much larger series of steps that takes place between a company and its customers. The way in which data mining impacts a business depends on the business process, not the data mining process. Take product marketing as an example. A marketing manager’s job is to understand their market. With this understanding comes the ability to interact with customers in this market, using a number of channels. This involves a number of areas, including direct marketing, print advertising, telemarketing, and radio/television advertising, among others. The issue that must be addressed is that the results of data mining are different from other data-driven business processes. In most standard interactions with customer data, nearly all of the results presented to the user are things that they knew existed in the database already. A report showing the breakdown of sales by product line and region is straightforward for the user to understand because they intuitively know that this kind of information already exists in the database. If the company sells different products in different regions of the county, there is no problem translating a display of this information into a relevant understanding of the business process. Data mining, on the other hand, extracts information from a database that the user did not know existed. Relationships between variables and customer behaviours that are non-intuitive are the jewels that data mining hopes to find. And because the user does not know beforehand what the data mining process has discovered, it is a much bigger leap to take the output of the system and translate it into a solution to a business problem. This is where interaction and context comes in. Marketing users need to understand the results of data mining before they can put them into actions. Because data mining usually involves extracting “hidden” patterns of customer behaviour, the understanding process can get a bit complicated. The key is to put the user in a context in which they feel comfortable, and then let them poke and prod until they understand what they didn’t see before. How does someone actually use the output of data mining? The simplest way is to leave the output in the form of a black box. If they take the black box and score a database, they can get a list of customers to target (send them a catalogue, increase their credit limit, etc.). There’s not much for the user to do other than sit back and watch the envelopes go out. This can be a very effective approach. Mailing costs can often be reduced by an order of magnitude without significantly reducing the response rate. Then there’s the more difficult way to use the results of data mining: getting the user to actually understand what is going on so that they can take action directly. For example, if the user is responsible for ordering a print advertising campaign, understanding customer demographics is critical. A data mining analysis might determine that customers in New York City are now focused in the 30-to-35-year-old age range, whereas previous analyses showed that these customers were primarily aged 22 to 27. This change means that the print campaign might move from the Village Voice to the New Yorker; There’s no automated way to do this. It’s all in the marketing manager’s head. Unless the output of the data mining system can be understood qualitatively, it won’t be of any use. 2) allowing the user to interact with the output so that simple questions can be answered. Creative solutions to the first part have recently been incorporated into a number of commercial data mining products. Response rates and (probably most importantly) financial indicators (for example, profit, cost, and return on investment) give the user a sense of context that can quickly ground the results in reality. 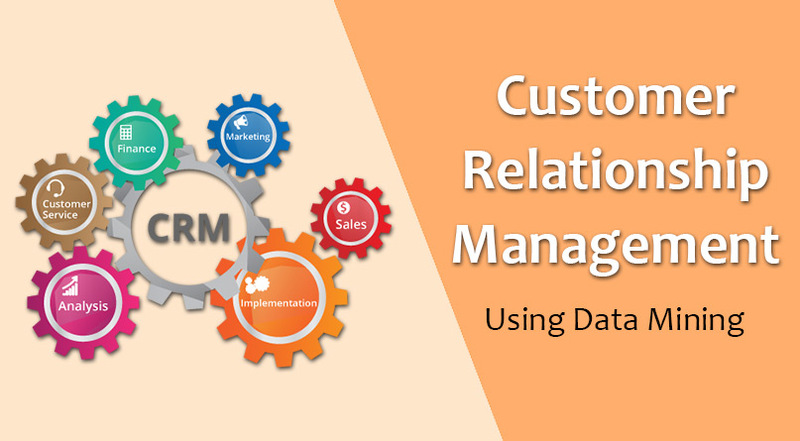 Customer relationship management (CRM) is a process that manages the interactions between a company and its customers. The primary users of CRM software applications are database marketers who are looking to automate the process of interacting with customers. To be successful, database marketers must first identify market segments containing customers or prospects with high-profit potential. They then build and execute campaigns that favourably impact the behaviour of these individuals. The first task, identifying market segments, requires significant data about prospective customers and their buying behaviours. In theory, the more data the better. In practice, however, massive data stores often impede marketers, who struggle to sift through the minutiae to find the nuggets of valuable information. Recently, marketers have added a new class of software to their targeting arsenal. Data mining applications automate the process of searching the mountains of data to find patterns that are good predictors of purchasing behaviours. After mining the data, marketers must feed the results into campaign management software that, as the name implies, manages the campaign directed at the defined market segments. In the past, the link between data mining and campaign management software was mostly manual. In the worst cases, it involved “sneaker net,” creating a physical file on tape or disk, which someone then carried to another computer and loaded into the marketing database. This separation of the data mining and campaign management software introduces considerable inefficiency and opens the door for human errors. Tightly integrating the two disciplines presents an opportunity for companies to gain competitive advantage. Data mining helps marketing users to target marketing campaigns more accurately; and also to align campaigns more closely with the needs, wants, and attitudes of customers and prospects. If the necessary information exists in a database, the data mining process can model virtually any customer activity. The key is to find patterns relevant to current business problems. Which customers are most likely to drop their cell phone service? What is the probability that a customer will purchase at least $100 worth of merchandise from a particular mail-order catalogue? Which prospects are most likely to respond to a particular offer? Answers to these questions can help retain customers and increase campaign response rates, which, in turn, increase buying, cross-selling, and return on investment (ROI). 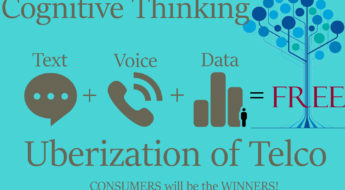 Data mining builds models by using inputs from a database to predict customer behaviour. This behaviour might be attrition at the end of a magazine subscription, cross-product purchasing, willingness to use an ATM card in place of a more expensive teller transaction, and so on. The prediction provided by a model is usually called a score. A score (typically a numerical value) is assigned to each record in the database and indicates the likelihood that the customer whose record has been scored will exhibit a particular behaviour. For example, if a model predicts customer attrition, a high score indicates that a customer is likely to leave, whereas a low score indicates the opposite. After scoring a set of customers, these numerical values are used to select the most appropriate prospects for a targeted marketing campaign. Database marketing software enables companies to deliver timely, pertinent, and coordinated messages and value propositions (offers or gifts perceived as valuable) to customers and prospects. Today’s campaign management software goes considerably further. It manages and monitors customer communications across multiple touch-points, such as direct mail, telemarketing, customer service, point of sale, interactive web, branch office, and so on. Campaign management automates and integrates the planning, execution, assessment, and refinement of possibly tens to hundreds of highly segmented campaigns that run monthly, weekly, daily, or intermittently. The software can also run campaigns with multiple “communication points,” triggered by time or customer behaviour such as the opening of a new account. Consider, for example, customers of a bank who use the institution only for a checking account. An analysis reveals that after depositing large annual income bonuses, some customers wait for their funds to clear before moving the money quickly into their stock-brokerage or mutual fund accounts outside the bank. This represents a loss of business for the bank. To persuade these customers to keep their money in the bank, marketing managers can use campaign management software to immediately identify large deposits and trigger a response. The system might automatically schedule a direct mail or telemarketing promotion as soon as a customer’s balance exceeds a predetermined amount. Based on the size of the deposit, the triggered promotion can then provide an appropriate incentive that encourages customers to invest their money in the bank’s other products. Finally, by tracking responses and following rules for attributing customer behaviour, the campaign management software can help measure the profitability and ROI of all ongoing campaigns. The closer data mining and campaign management work together, the better the business results. Today, campaign management software uses the scores generated by the data mining model to sharpen the focus of targeted customers or prospects, thereby increasing response rates and campaign effectiveness. Ideally, marketers who build campaigns should be able to apply any model logged in the campaign management system to a defined target segment.